There are Drive Through burger joints. There are Drive Through banks. All those places that are so new and modern and that make it easy for drivers of cars to do whatever they need to do without getting out their care. 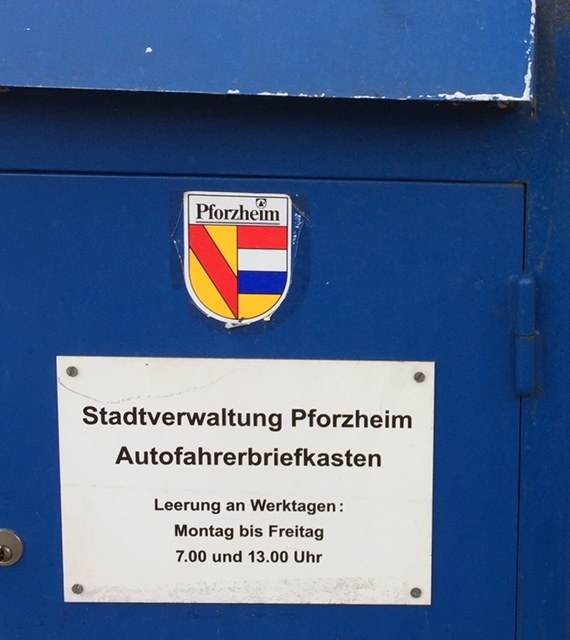 Though, honestly, have you ever seen an Autofahrerbriefkasten? How far can you go to make life easier? The sun is shining and the weather is just perfect here in Ireland. Freddie the dog conned me into a second walk into Herbert Park and what a joy to see nature at its best. I do not know if you have heard about this woman but if not it is 20 minutes worth listening to. ‘The brain is incredible and we no so very little. Sputnik have just reported that a robot has carried out an operation via neuroscience dimension on the brain. This woman has had a stroke but brain injury can happen as a result of different causes but what she says you can identify with especially when you have had brain injury.